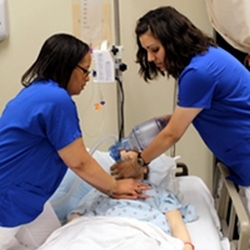 Graduates of the Allen Memorial Hospital School of Nursing and Allen College are amazing. Allen alumni span far and wide and across many different fields of healthcare, education, and beyond. Our alumni have touched many lives through their careers and have had great impact on the nursing field. Check back monthly as we feature and highlight examples of our amazing Allen alumni. If you know someone who should be featured, or would like to be featured yourself, please contact the Alumni Relations Coordinator Beth at Beth.Sullivan@unitypoint.org or call (319) 226-2016.